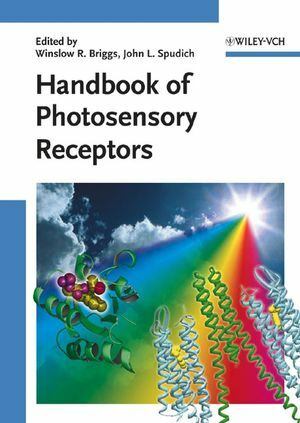 This first complete resource on photosensory receptors from bacteria, plants and animals compiles the data on all known classes of photoreceptors, creating a must-have reference for students and researchers for many years to come. Among the editors are the current and a former president of the American Society for Photobiology. Winslow Briggs obtained his acadmic degrees from Harvard University almost fifty years ago. He spent most of his career at Stanford University, interrupted by a brief return to Harvard. He is currently professor emeritus of Stanford University and of the Carnegie Institution, where he is heading a research laboratory in the Department of Plant Biology. Professor Briggs has received numerous scientific awards including the Stephen Hales Prize of the American Society of Plant Physiologists and the Sterling Hendricks medal jointly bestowed by the USDA and the American Chemical Society. He is also a member of the National Academy of Sciences and a long-time editor of the Annual Review of Plant Physiology. John Spudich received his PhD in biophysics from UC Berkeley working on chemotaxis, and conducted postdoctoral research on light-entrainment of circadian rhythms at Harvard and on photochemistry of retinal proteins at UCSF. In 1980, he joined the faculty of the Albert Einstein College of Medicine in New York. Since 1991 he is professor at the University of Texas Medical School at Houston, where he presently holds the Welch Distinguished Chair in Chemistry and is director of the Center for Membrane Biology. Professor Spudich recently received the Research Award of the American Society for Photobiology, as well as an NIH MERIT award. Together with Winslow Briggs, he has founded a new series of Gordon Conferences on Photosensory Receptors and Signal Transduction.